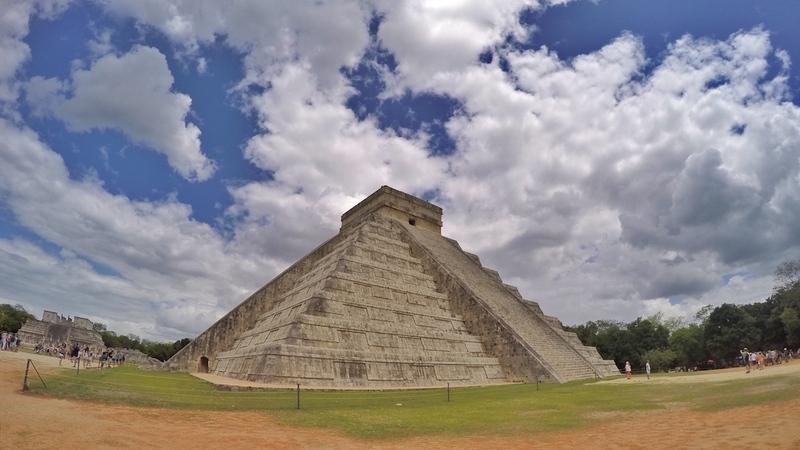 You cannot visit Cancun or Riviera Maya without visiting Chichen Itza, I mean it’s one of the Seven Wonders of the World, it is definitely worth seeing! Chichen Itza was a Mayan city that is now a complex of ruins of it. El Castillo pyramid is the massive and most famous structure of the city. 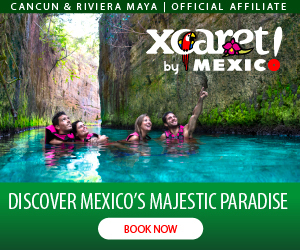 With lots of history behind it, this place will open your mind to new horizons, will teach you lots about Mexican culture, but most of all, it will make your heart and soul vibrate with joy. Chichen Itza is located in the state of Yucatan, neighbor to the state of Quintana Roo, in the middle of the Yucatan Peninsula, just 197 kms (122 mi) or a bit more than two hours away from Cancun. 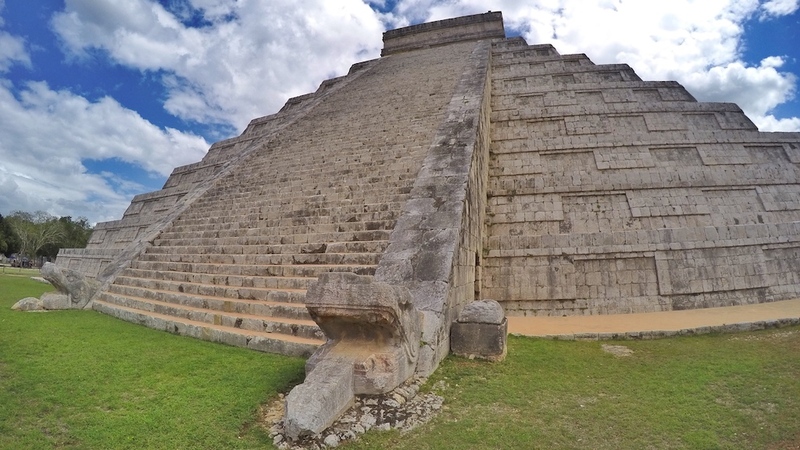 To get to Chichen Itza you can book one of the many day tours from Cancun, Playa del Carmen or Tulum. Because of my personal experience I recommend to take Xichen Tours. But if you are feeling a bit more adventurous or like to take your time on the site then the best option is to make a road trip and get there by car! Rent a car, there are many different options, if you are staying at a hotel, they most likely will offer the service at the front desk or concierge. 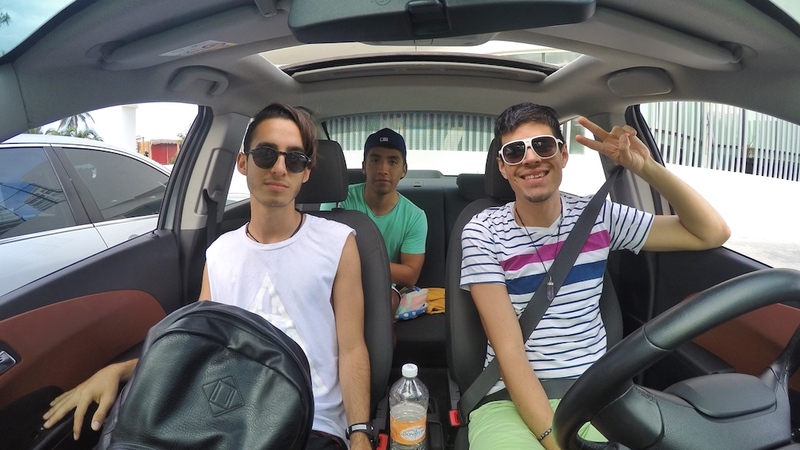 The price will vary depending on the type of car and insurance you choose, the average is about $1,000 pesos per day. Choose your route, you can either take the highway (with tolls) from Cancun or take the freeway from Tulum in the direction to Merida. Both roads are in excellent conditions and both are safe. You will get faster on the highway but you’ll see more of the little towns on the freeway. I recommend that you leave early in the morning, around 9 am. The visit to the actual site of Chichen Itza will take you about 2 or 3 hours, so you have extra time to see even more of México. Before getting there, make a stop to dive in the Samula and Xkeken Cenotes, or one to walk around in the magical town of Valladolid. 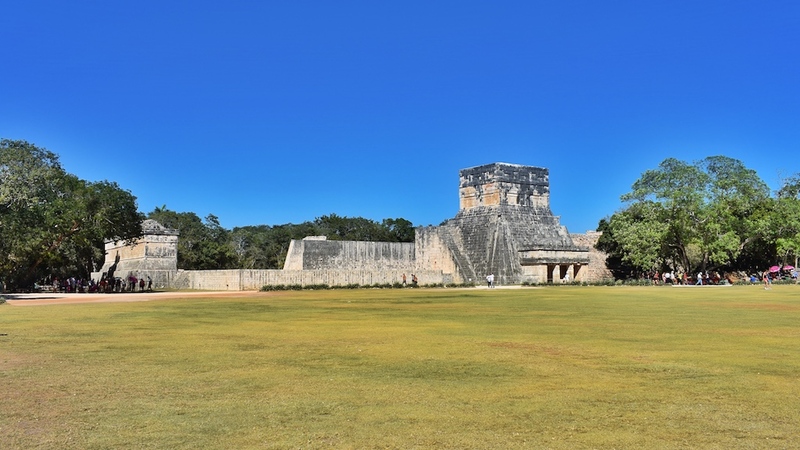 If you make a stop at these places and take your time to walk around Chichen Itza, you will be back to your hotel by sunset, at around 6 or 7 pm. Perfect timing to rest and go out at night to keep enjoying the Mexican Caribbean. Chichen Itza is open from 8am to 4:30pm. Entrance to Chichen Itza is around 250 pesos. It’s going to be hot, so bring a hat and wear a tank top, shorts and comfy shoes. There are tour guides at Chichen Itza entrance for an extra cost.